FIFTY3DEGREES is a martial arts and fitness centre in the heart of Chesterfield. We teach Brazilian Jiu Jitsu (BJJ) and Mixed Martial Arts (MMA). We are proud to be Chesterfield's only BJJ Back Belt Academy! We teach BJJ classes for children too and we also offer fitness classes and a personal training service. There really is something for all the family here! Brazilian Jiu-jitsu & Mixed Martial Arts (MMA) classes are available in Chesterfield for children and adults. Daytime and evening classes offered all year round on various weekdays. Please contact Fifty3Degrees for exact class hours for different age groups. Would you like more information on hours, classes and programs available at Fifty3Degrees? Please contact the school with your questions. Update the details, Write a Review or Report Error of Fifty3Degrees. This Chart shows the Martial Arts Styles offered most in Chesterfield, UK area. 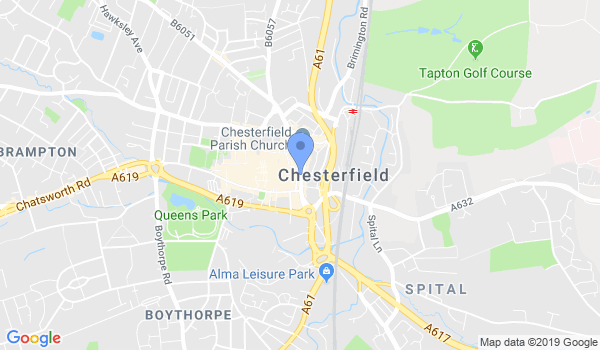 View a list of Dojo in Chesterfield, or enter your address below to find schools closest to you.